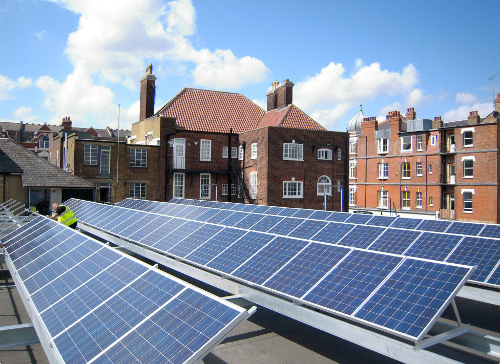 You are here: Home / en10ergy ltd.
en10ergy ltd is a not-for-profit company generating renewable electricity in and around Muswell Hill and Wood Green. 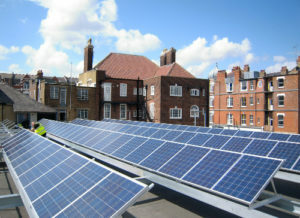 It was set up by Muswell Hill Sustainability Group in 2009 with the following aims: to install renewable energy in Muswell Hill and surrounding areas, to raise awareness of Climate Change issues and to encourage local residents to take action. It was originally established as an Industrial and Provident Society in 2009, now, under new legislation, defined as a Registered Society under the Co-operative and Community Benefit Societies Act 2014. It is a principle of such societies that the proceeds of their activities are for the benefit of the community in which it works, not of its owners. 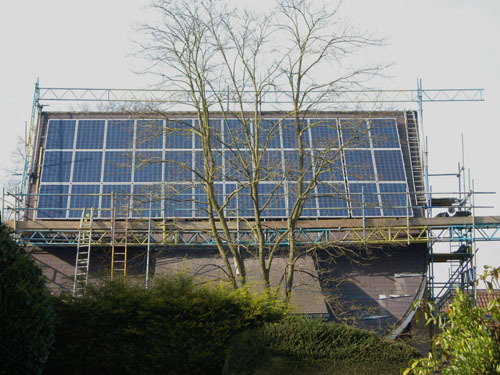 en10ergy’s early projects inolved the installation of solar panels on the roofs Marks & Spencer in Muswell Hill Broadway (operating since 2010) and the Methodist Church in Pages Lane (operating since 2011). These projects were mostly funded through grants from local government, but also through a small community share offer. In 2017 we have installed a new, larger array of solar panels on Woodside High School in Wood Green. This was funded by the sale of shares, principally to local people, who, in buying them, become members of en10ergy, entitled to particpate in the running of it’s affairs.